Here at Fudge Kitchen, it’s no secret, we absolutely love Christmas. 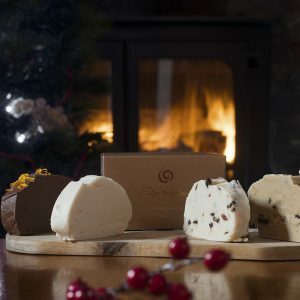 We enjoy nothing more than creating our famously smooth and creamy fudge in seasonal flavours; Rudolph’s Delight, Mince Pie, Santa’s Tipple, you name it we make it. Fresh whipping cream fudge in Rudolph’s Delight, Salted Caramel, Chocolate Classic and Snowflake. RRP £16. 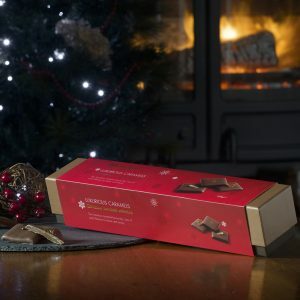 Twelve luxurious caramel favourites nestled in a solid presentation gift box, contains Great Taste Award winners. RRP £15. 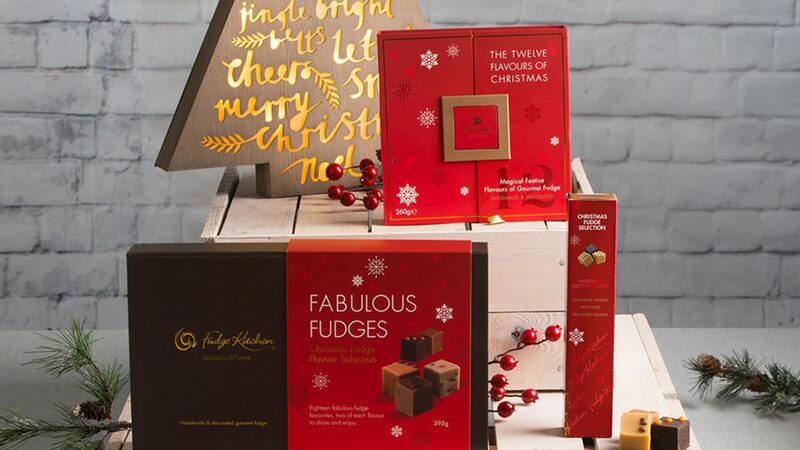 Twelve delicious seasonal inspired flavours; such as Speculoos, Stollen Fudge and Mince Pie. RRP £15. If you are a serial Christmas lover and can be found on the London shopping circuit (on the hunt for a certain famous Christmas teddy bear perhaps), you’ll be pleased to know our stockists include Harrods & Selfridges, plus our limited time only pop up on the fifth floor at Harvey Nichols is open until 23rd December. Fudge Kitchen pop up at Harvey Nichols on 5th floor. When and where will we be seeing you this Christmas?